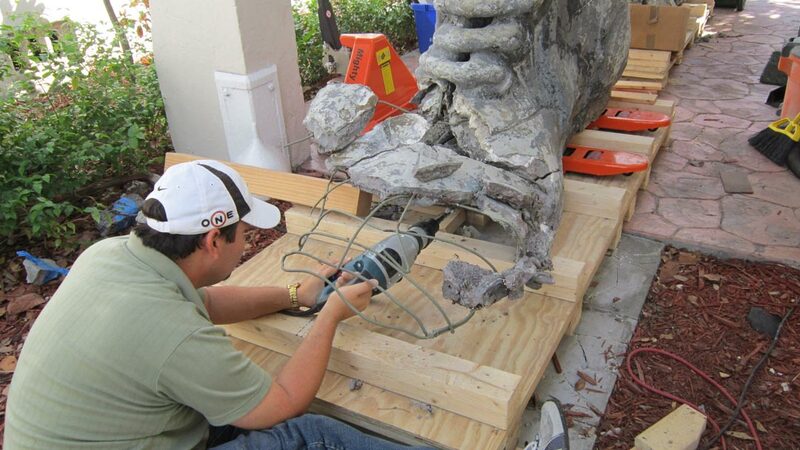 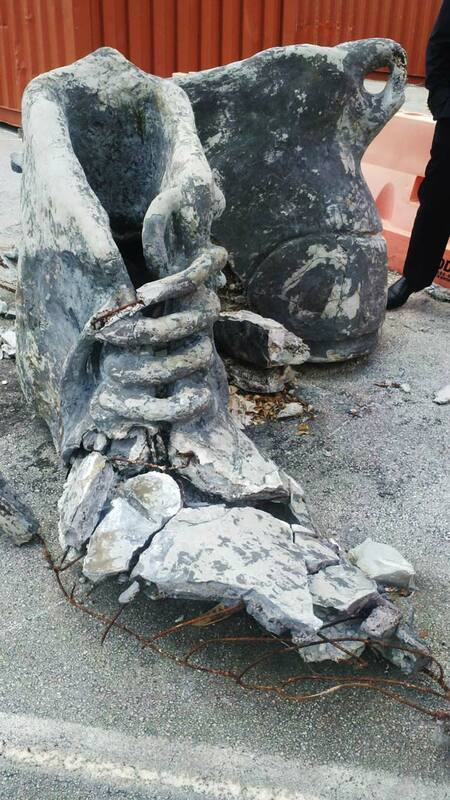 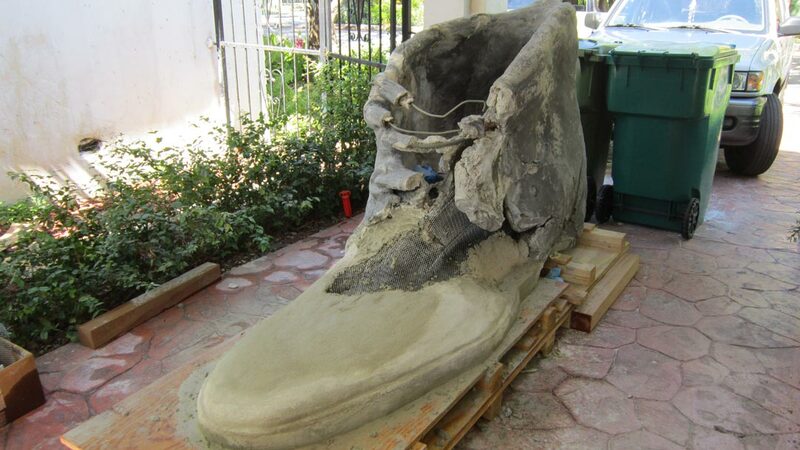 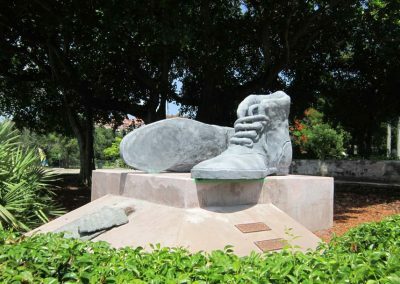 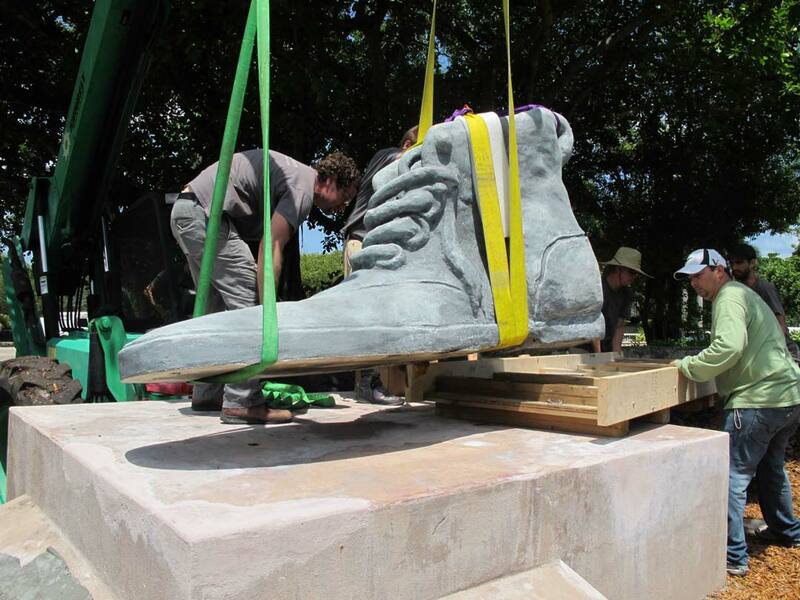 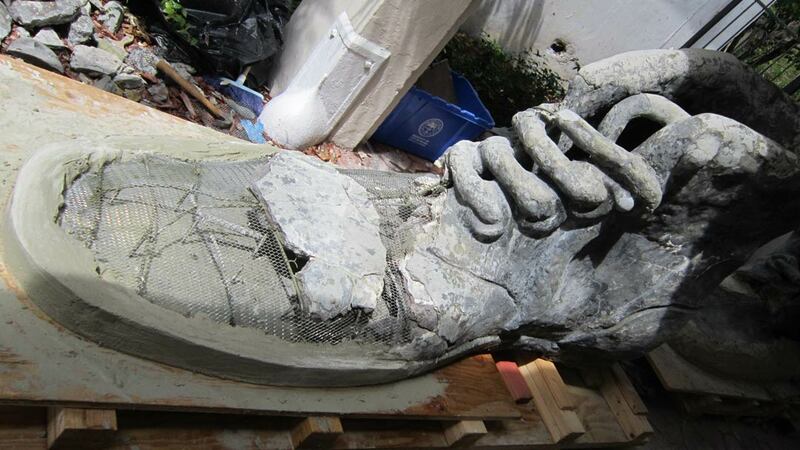 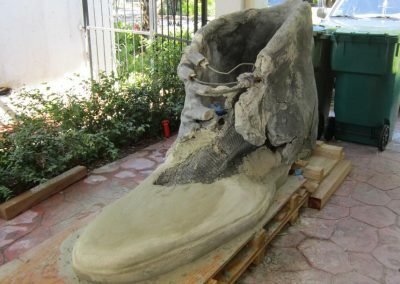 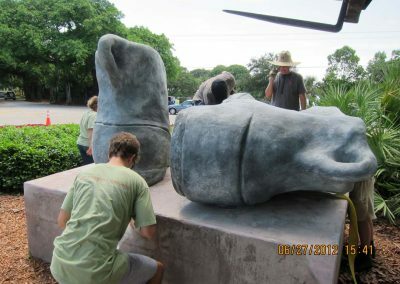 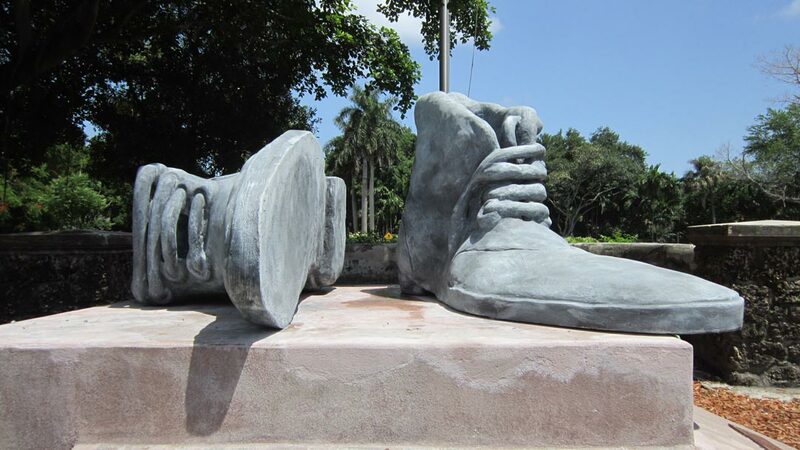 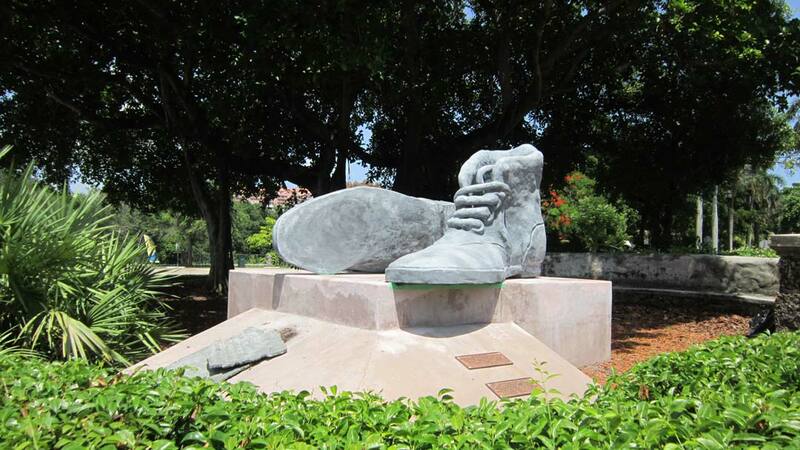 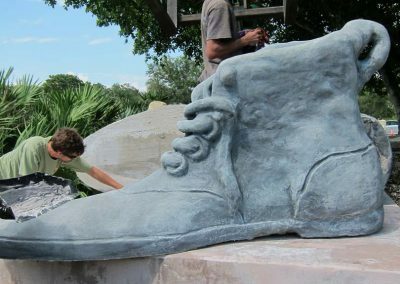 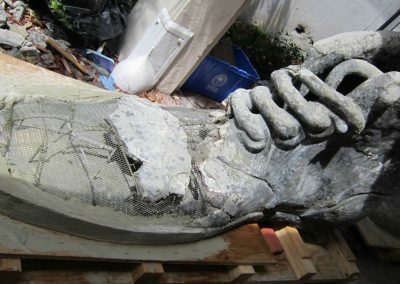 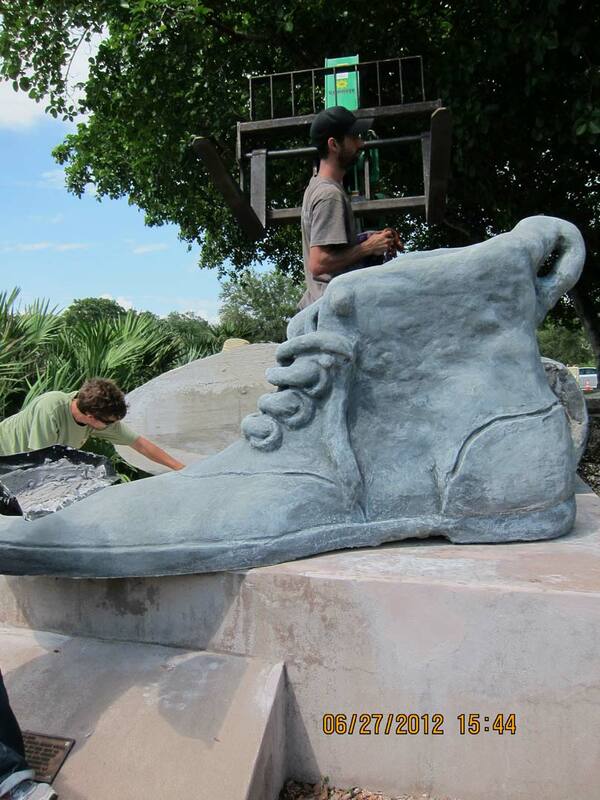 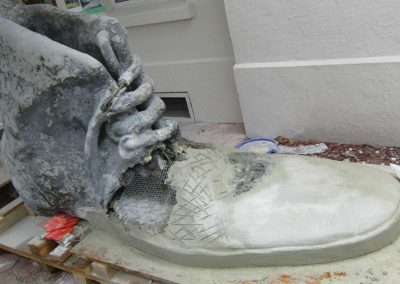 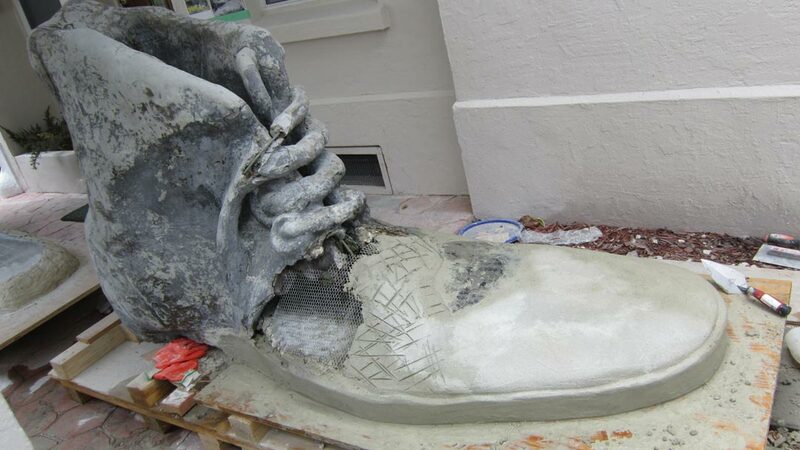 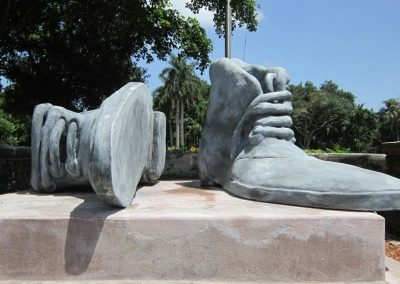 Hector Lombana’s sculpture Shoes is a large-scale, site-specific 2-component concrete sculpture gifted to the City of Coral Gables by its sister city, Cartegena, Colombia. Located in the center of a busy traffic circle, the sculpture was severely damaged when hit by a car in February 2010. 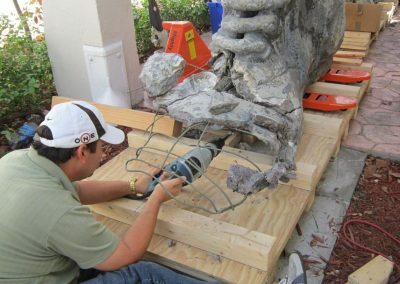 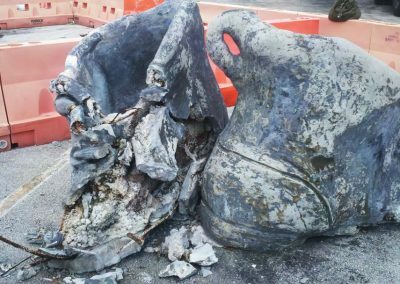 Though originally the City thought the sculpture could not be conserved, RLA demonstrated sample mock ups that indicated otherwise. 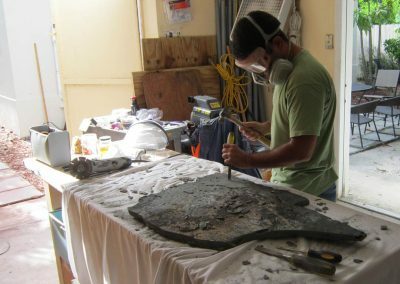 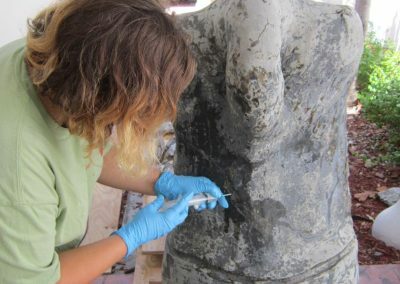 Treatment began with a study of historic photos of the work and recovery of as many fragments as possible. 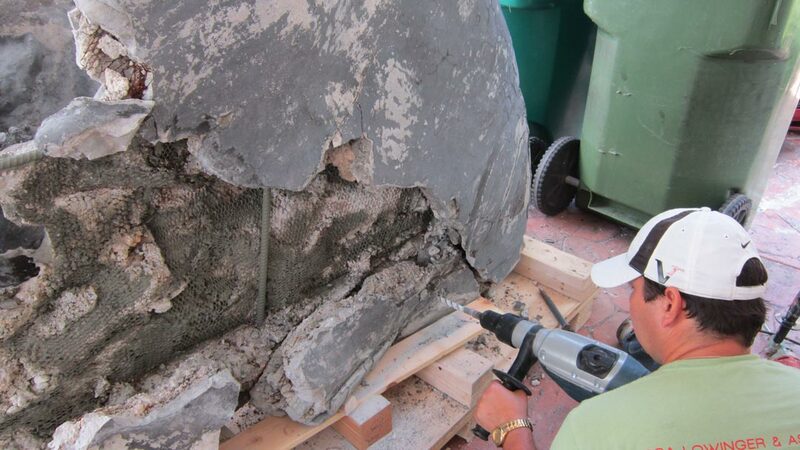 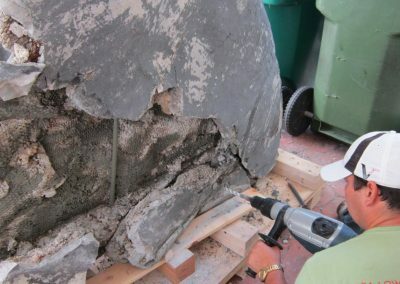 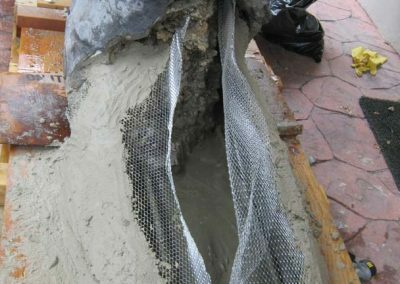 This was followed by cleaning of the existing fragments, removal of incompatible old repairs, mitigation of corrosion on the metal internal supports, and reconstruction of losses using a combination of a compatible mortar mix made in-house and commercial conservation mortars by Cathedral Stone Company. 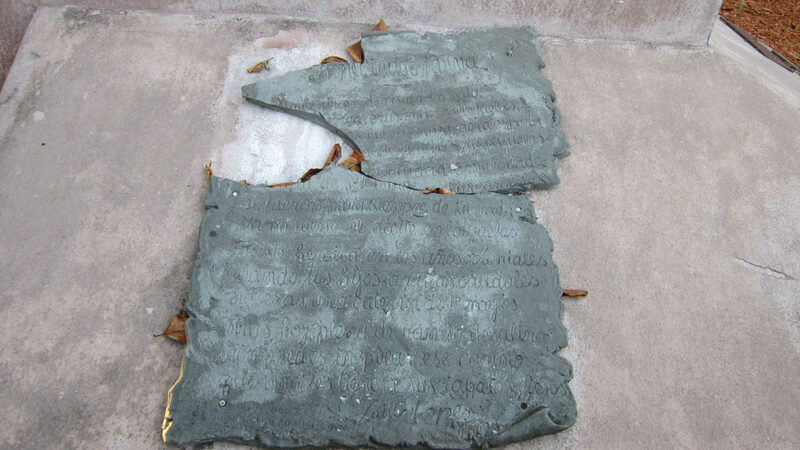 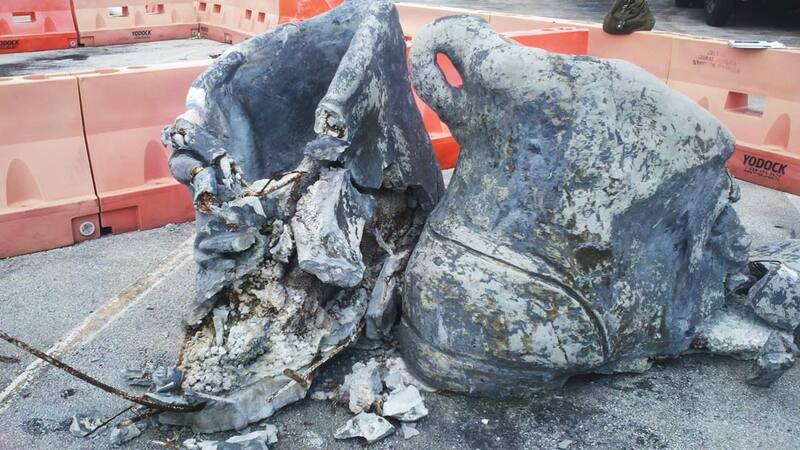 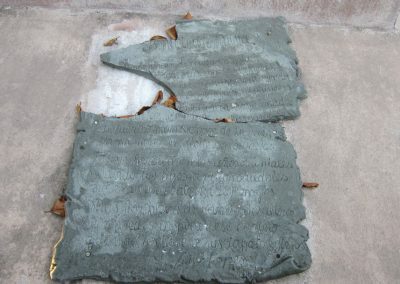 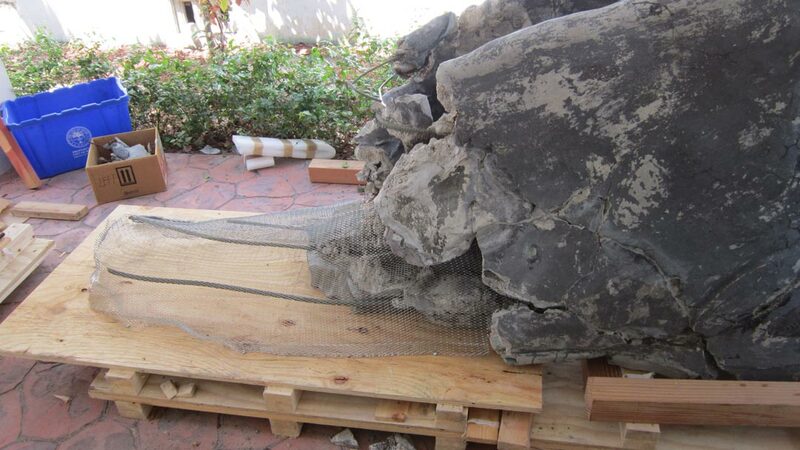 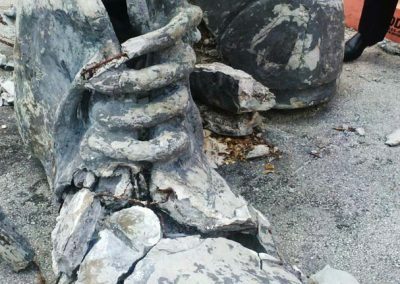 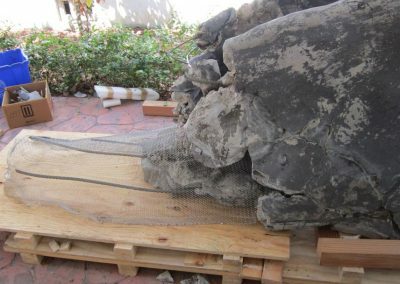 The plaza’s stucco and coral stone forms, also damaged in the accident, were similarly repaired. 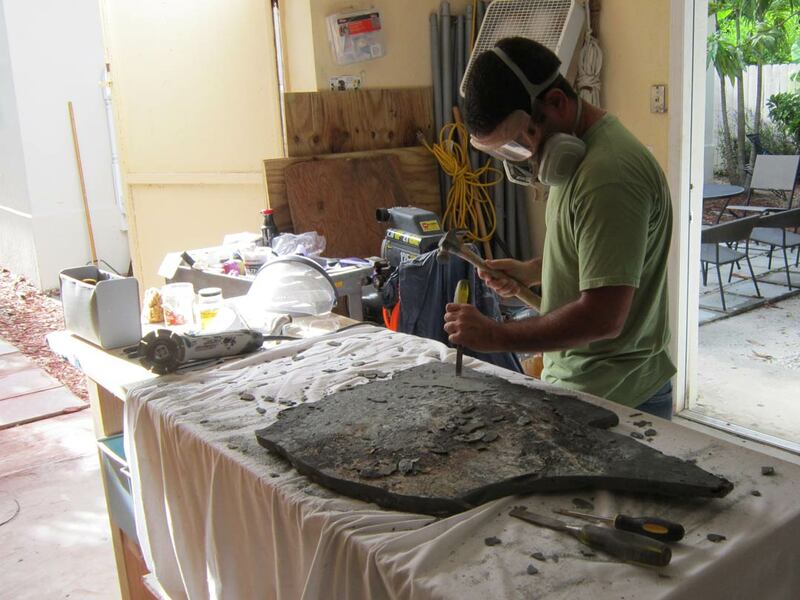 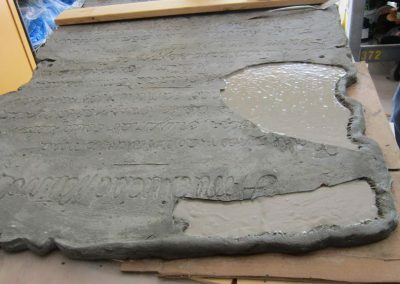 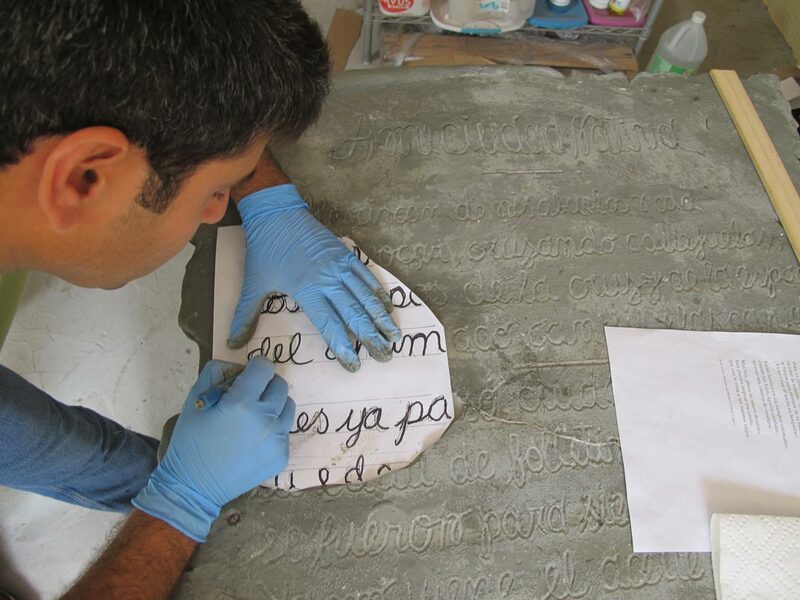 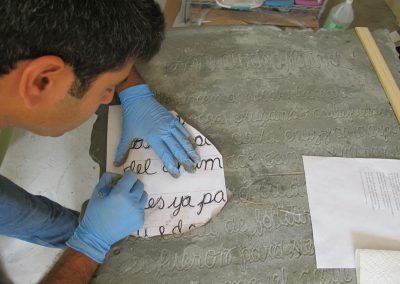 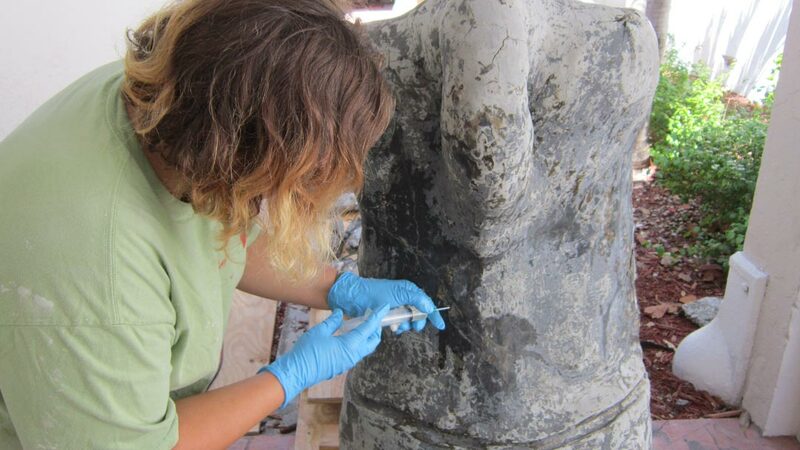 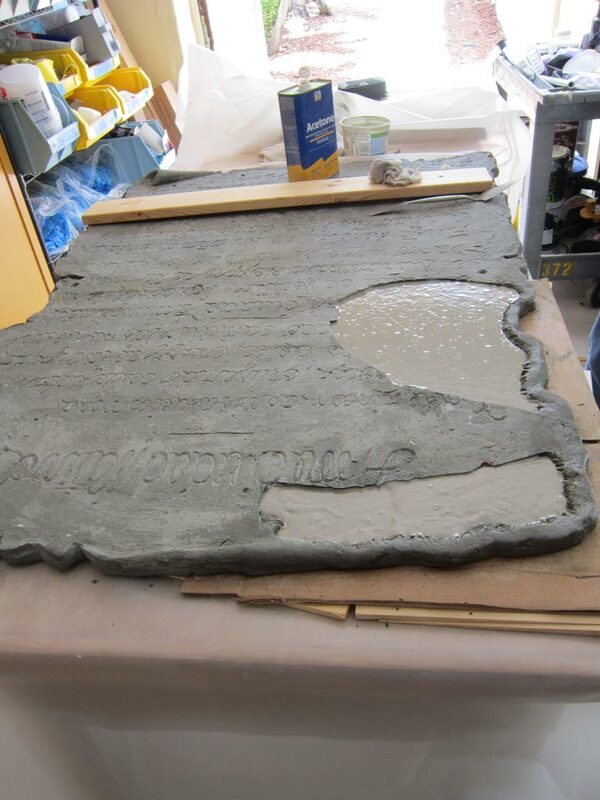 A resin plaque was repaired and sections that were missing were recast in a similar material. 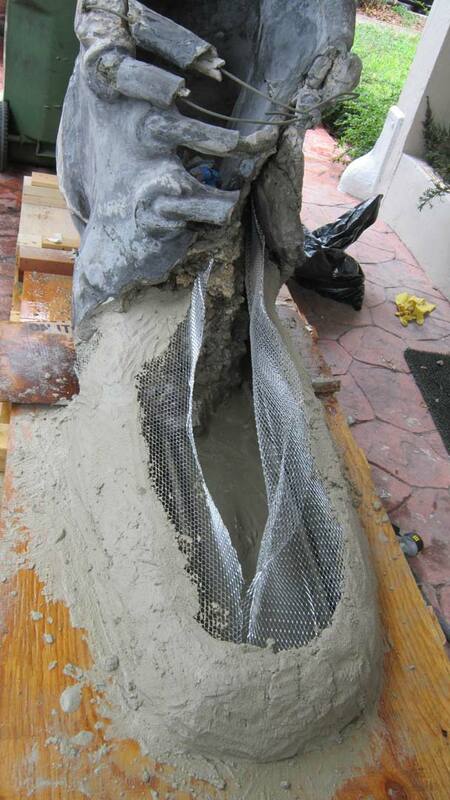 RLA assisted with installation.